Why would you wanna take our love and tear it all apart? Now, why would you wanna make the very first scar? But why would you wanna break a perfectly good heart? Now why would you wanna make the very first scar? Why would you wanna break? Why would you wanna break a? 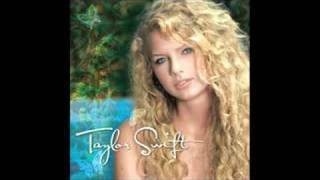 ..i really love taylor swift's songs..some of her songs are very related to me..and she is really great guitarist and singer..i love taylor so much..your my idol..ur the best..more power!!!! whoever ily mb!!! is, youre a jerk. Taylor Swift is beautiful and she has the most amazing voice on the planet. if you dont like her that much then dont look at her lyrics and leave horrible comments. taylor....nice songs..i love them...not a big fan of your face or voice though...please do something about those problems. I love the fact that anytime I want lyrics, I can come to this website. I love all taylor swift music, espesially Perfectly good heart.